October/Inktober is almost over (I’ll post all of my drawings soon) and we’re on the verge of another exciting and creative month! 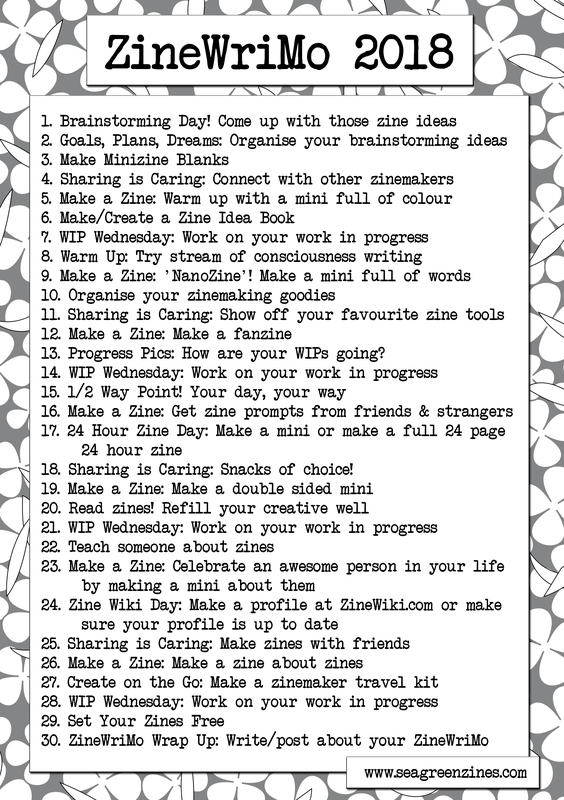 November is approaching and that means it’s time for ZineWriMo (Zine Writing Month)! 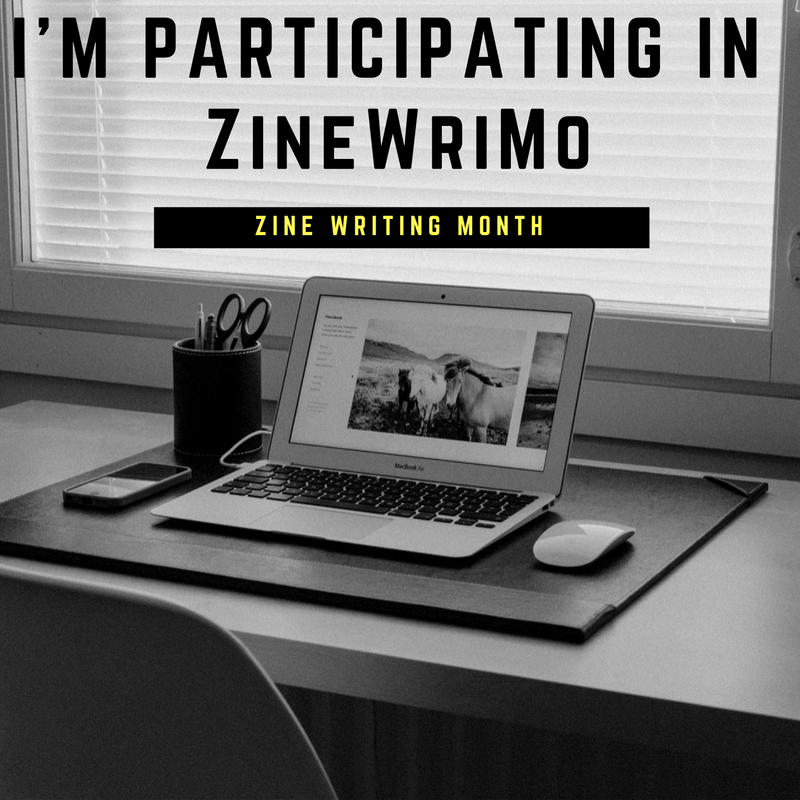 ZineWriMo was inspired by NaNoWriMo (National Novel Writing Month – the challenge to write an unedited novel in 30 days) and encourages everyone to make zines and do zine stuff during the entire month of November. What are your ZineWriMo plans? This entry was posted in zinewrimo and tagged ideas, plans, zinewrimo. Bookmark the permalink. Cool, Tikara! so productive 😀 looking forward to read both!! Lots of plans! Haha. There are fewer than two days to go, and I still don’t really have a plan as such. I’m glad I remember to put in a brainstorming day. Hehe. I tried to keep the ‘spoonie’ side in mind while making the list. Bad stress shouldn’t be a part of the fun.